We are proud to be Americans and our flag is proudly flying! 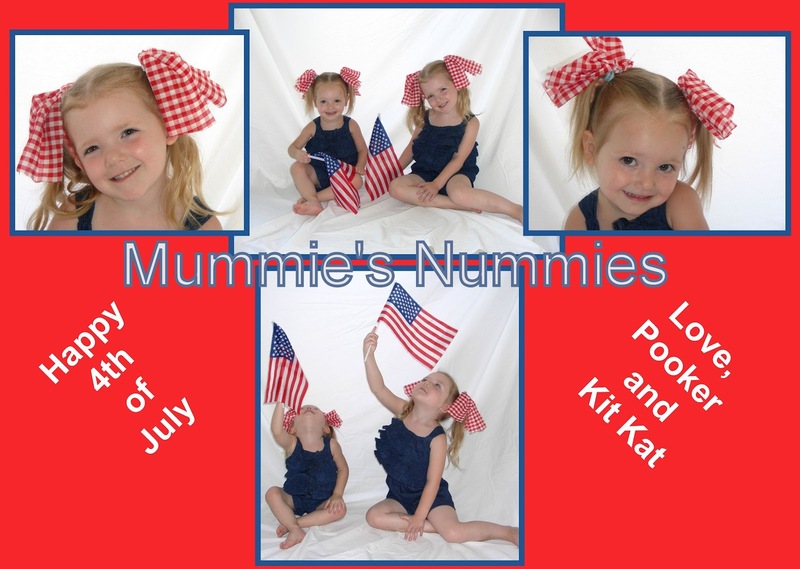 Happy Independence Day to all of our American Mummies! This is a repost from May 2011. Many Mummies find that when their "Aunt Flow" decides to visit that their Nummie supply seems to dip. But is this related to "that time of the month" or is it something else? Have no FEAR! Mummie is here! A friend of mine (yes a fellow Mummie) asked me if I thought the early return of her menstrual cycle could lower her breastmilk supply. She has had struggles with breastfeeding previously and was afraid that the return of her cycle (shortly after her son was just born) would lower her supply yet again. I have to say that I was not aware that this could happen! 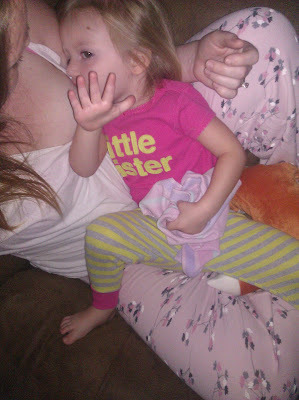 You will never hear me say that I am an expert on breastfeeding.... because well I am not. I may have experienced A LOT in my years of making Mummie's Nummies.... but that means that there is A TON of stuff I have not! So I decided to see what I could find. Well have no fear Mummies! I have found some research for you! Sadly... the return of your cycle CAN slow your production.... but happily you can help reverse it! 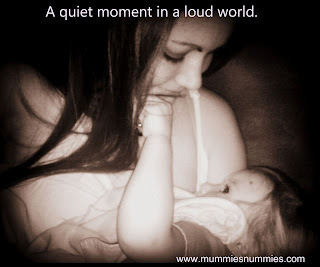 So have no fear mummies, it is normal (phew!) but can be helped! If you notice your little Nummie Lover wanting more and more for a few days... try to make the connection. It might be more than just a growth spurt. This would be a great excuse to make some Lactation Cookies! Because they are just way too yummy!!!! Freshly picked Foto Friday!!!!! WAHOOOO we ALL went Blueberry and Strawberry picking this morning! Total count of FRESHLY picked fruit was: 2 gallons of Blueberries, 1 gallon of Strawberries and two hours of family fun! Great way to start the weekend! Happy Foto Friday, Mummies! We all have them. Some of them we have openly admitted to. Others we keep to ourselves, either due to possible embarrassment, judgment, or simply for the fact of "I will NEVER tell another living soul (over the age of speaking) what I just did!" Well......I am going to break that silence! Yupp.... I am going to jump off of the deep end and see if I can float! I am going to spill the pumped Nummies and see where it falls! I am willing to accept what ever comes with what I am about to share. After all...... I can't be the ONLY one who has done the following (I hope...). Yes.......... I am going to share with you my "Confessions of a Breastfeeding Mummie!" Confession 1: I have drank my own Nummies. Yupp.... have done it MANY times and I LOVE it! Actually, everyone in my house has tried it and enjoys the flavor. (yupp.... EVERYONE!) Although I prefer fresh and warm.... I have been known to drink some cold Nummies. Confession 4: I have day dreamed about whipping my Nummie Makers out and spraying someone, in retaliation. A few times I have in visioned double spraying someone........But that only happens when I am really irritated. Come on..... picture it: A family member or friend gets into with you, over ANYTHING, and you are ready to end the irritation. A vision pops into your head of "whipping" out your Nummie Makers and chasing this person down the hallway all the while spraying them like a fire hose, yelling "WAHOOOOOO COWBOY! How do you like those apples?!" The thought of them screaming and running away is a great one! Confession 6: I was not a fan of nursing bras. At first I LOVED them.... as it was like a badge of honor for me. "Look I am wearing a nursing bra! I am a breastfeeding Mummie!" But then I got so sick of them.... that I threw them all away and went to "normal bras." Confession 7: I never had the best self confidence in myself. It stems from a negative childhood and being put down most of my childhood. But when I finally got the hang of breastfeeding (and NIP'ed for the first time) I felt my shoulders push back, and my head was held a bit higher. I felt like a super hero. 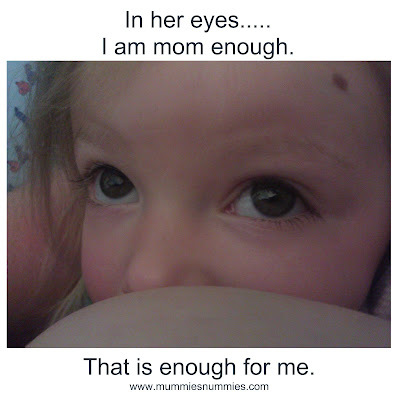 I was nourishing my child, on my own, and I was doing a great job. Every time I looked at Pooker (my oldest) I thought "I gave her those extra ounces, she is gaining weight because of me." When Kit Kat came along, I was so proud of myself and felt as though I could do ANYTHING! The self confidence I have gotten from breastfeeding is one of the most amazing impacts breastfeeding has given me. Confession 8: I MISS MY BIG BOOBIES! I do!!!! I really do!!!!!!! I have never been a big boobi'ed girl, but when my milk came in...... HOLY BREAST IMPLANTS! I filled out tops like never before, they bounced, jiggled and wiggled!! (Jello Jigglers were jealous!) I actually bought a bathing suit that was "made" for bigger boobies. My reasoning was "if you got them........" I even told my husband that I would nurse forever, if I could keep them! But sadly........ when a nummie Lover begins to wean...... so does the size of the gems. Now that awesome bathing suit is a little big and I no longer "fill" it out the way I did a year ago.......my heart sank a bit. Confession 9: I LOVED the fact that I could "disappear" from family functions and nurse my girls. Sometimes big crowds make me feel WAY small.... and the "excuse" to get away to a quiet room was AWESOME! "Oh hey.... where did Jacky go?" "Hummmmm I don't know." "I think she is feeding the baby." "Oh... does it really take THAT long?" NOPE!!!!!!!!! Hehe. Confession 11: Reading SO many stories of being harassed, while nursing, had me HOPING I would come across some single minded, jack @$$ that thought I needed to hear their feelings about how I should raise my children. I am not a confrontational person, and to be honest I typically "clam up" when my emotions get the better of me. But I had a TON of "ready to go" comments... and I have YET to use any of them! 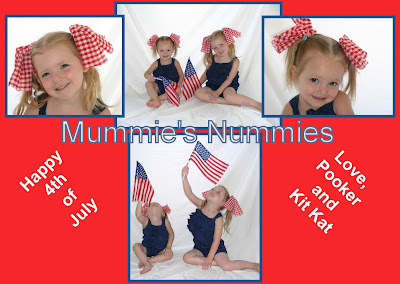 Confession 12: I was not able to meet my breastfeeding goal with Pooker, so when I created my breastfeeding goal with Kit Kat, I wanted to make up for that. I was one month shy of my goal with Pooker and I felt I had jipped her. I know now that one month longer was not much (in the whole grand scheme) but at the time I was DEVASTATED. Confession 13: There a lot more Mummie confessions.... but to be honest...... Pooker is yelling at me to "Get of the computer!!!" and Kit Kat is screaming "I WANT SOMETHING TO EAT!" So my last confession...... I do not run my home...... my girls do! Gotta go serve the Queens. We went on a family vacation to Florida. My husband and I are both from there.... but the girls have only been there once before. This time we introduced them to the BEACH! They LOVED it and we all had a blast!